William Bruce Bimat was born in Bakersfield in 1947. At nine years of age, the family moved from the big city to Oildale where he officially became a “Dalian”. Bill’s family home was located on an oil lease off of Porterville Highway and very near North High. He attended Beardsley Elementary and Junior High before becoming a North High Star. Bill was a skinny, 6 foot 2 inch freshman, and was referred to as Bill “The Beanpole” Bimat by his coaches. He participated in football, basketball, and track all four years lettering in all three sports. Bill still holds the North High long jump record of 23 feet 7 inches, which he set in 1965. Bill was given a dual scholarship for football and track to U.C. Berkeley when he graduated from North in 1965 at the age of 17. After playing football for Cal his freshman year, Bill followed his football coach to U.C. Santa Barbara where he played the next three seasons until his graduation in 1970. Bill married his high school sweetheart, and fellow “Dalian”, Linda Ogelsby, in 1969. They returned to Bakersfield in 1970, and, in 1974, welcomed their first daughter Angie, followed by Katie in 1976. Of course, the girls would follow their Dad to North High. Bill would later receive his Masters in Education and his Administrative Credential from CSU Bakersfield. In 1972, much to Bill’s delight, he was hired as a history teacher at his alma mater. 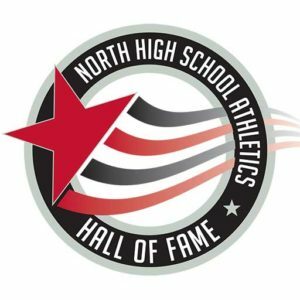 He would spend his entire professional career at North as a teacher, coach, Activities Director, Counselor, Assistant Principal, and finally as the Principal of North High School until his death in 1994 at the age of 47. In 2001, the Norris School District, where Bill served as board member for a number of years, named its newest elementary school after him; an honorable tribute to a man who dedicated his life to education. For Bill, North High was not just the place where he worked. North High was Bill’s second home. He literally spent more than half of his life on this campus, either walking the halls and running on the fields as a student-athlete, or walking the halls and running on the side-lines as a teacher-mentor. As a kid from Oildale who had attended this school, and, who was able to further his education because of the athletics program here, Bill had a unique and special connection with the kids he taught and coached. He could commiserate with the students who were struggling in class because he too had struggled in those same classes, and in some cases, even with the same teachers. He knew exactly what it was like for his students, who spent countless hours in tackling drills, or shooting baskets, or running around the track, because he had done the same thing on the same fields, courts, and tracks. This life-long connection with Oildale in general, and with North High specifically, caused him to cheer a little louder from the sidelines, help a little more in the classroom, and listen a little better in the Principal’s office.